Augustine suggests that pawternity leave and other pet-supportive benefits can be a smart way for employers to attract and retain younger candidates in a competitive job market. Which makes sense, considering a 2017 report by the American Pet Products Association claims millennials are now the primary pet-owning generation. So what might this policy look like in action? It depends who you ask. James Watt, the owner of BrewDog, a multinational brewery and pub chain based in Scotland, tells me that dogs have always played a central part in the BrewDog story ever since his chocolate lab pup, Bracken, came bouncing into the room as they struggled with figuring out what to name the company. “We offer one paid week off to ensure the newest four-legged member of the family can be properly settled in,” says Watt. That means that the policy doesn’t apply to pets giving birth — only to the arrival of a new pet into the household. Augustine tells me that if a company is going to institute such a policy, it must be clear on its policy’s terms. “For instance, what constitutes a pet? Will these benefits only apply to cat and dog owners, or will they also be extended to other types of pet owners? Will a standard amount of time be offered per year to each pet owner, or will it be applied on a per-pet basis?” she says. 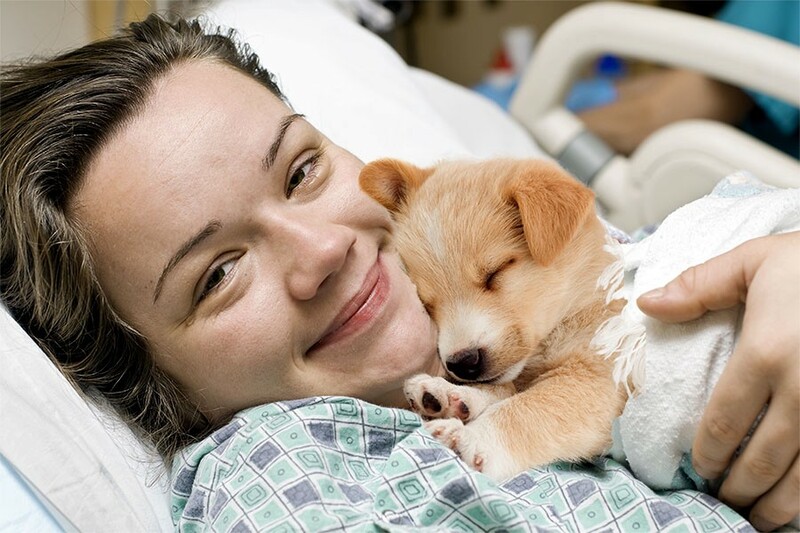 More importantly, if you’re thinking of offering pawternity leave, perhaps consider enhanced maternity and paternity pay packages for actual human beings who are expecting new arrivals, or who adopt. This is something Watt tells me BrewDog were already offering before they instituted their pet policy. “Packages consist of 12 weeks full pay, followed by 12 weeks half pay for enhanced shared parental and maternity leave, or two weeks full pay for enhanced paternity pay,” Watt says.